On September 1, Chairman of the Council of the Republic of the National Assembly Mikhail Vladimirovich Myasnikovich had a meeting with the faculty and the students of the Belarusian-Russian University. The meeting was also attended by Chairman of Mogilev Oblast Council of Deputies Dmitry Ivanovich Kharitonchik, Deputy Chairman of Mogilev Oblast Executive Committee Viktor Vladimirovich Nekrashevich, Chairman of Mogilev City Executive Committee Vladimir Mikhailovich Tsumarev and the University Administration. During the visit, the issues of the development of higher education, the demand for specialists in the labor market, work with gifted and talented young people, etc., were discussed. In addition, Mikhail Vladimirovich answered the questions of the audience. Besides, the participants of the meeting visited the exhibition of scientific developments of the University scientists. 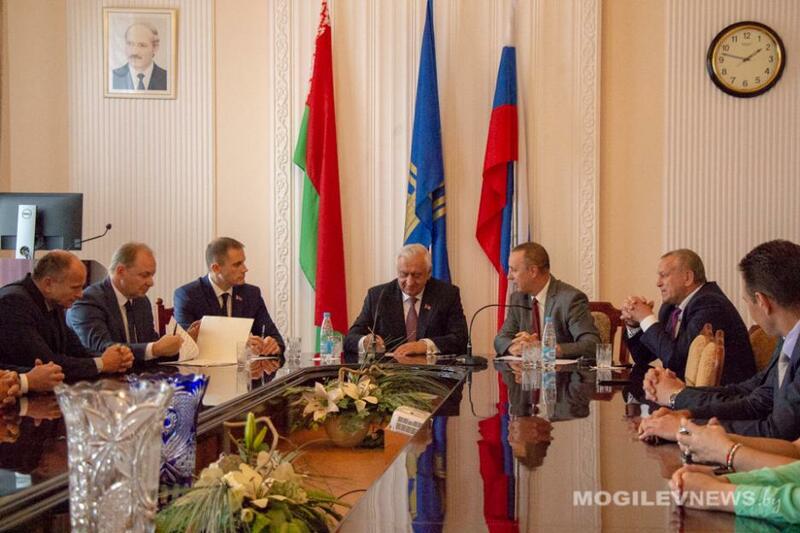 On behalf of the Council of the Republic of the National Assembly of the Republic of Belarus, Mikhail Vladimirovich gave the University a picture.